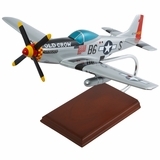 Airplane Fan: The Tigershark Warbird Airplane Fan is better than ever! 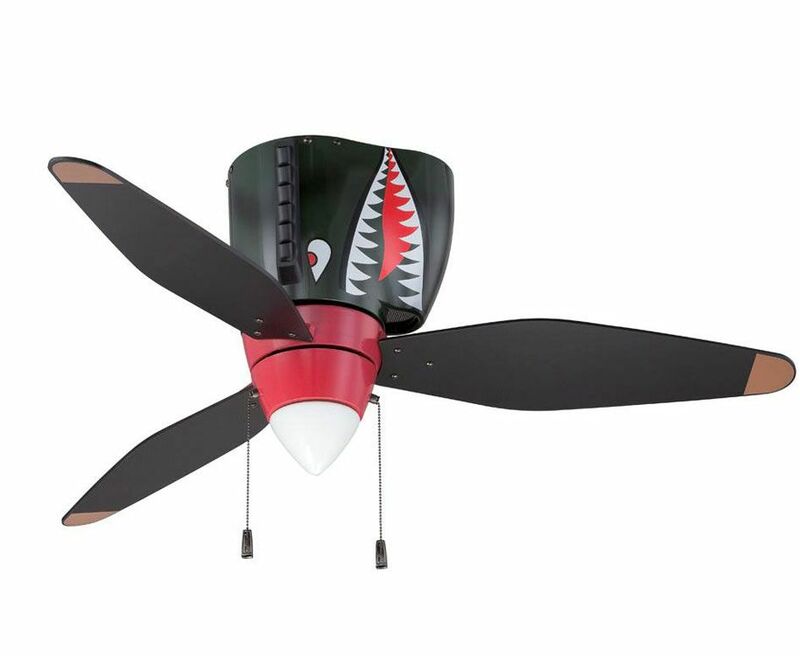 This Tigershark Airplane Ceiling Fan is a replica of the original "Flying Tiger" Tiger Shark squadron airplane nose art on the P-40 Warhawk / Tomahawk / Kittyhawk aircraft flown during WW II. In addition to having a fun, novelty style, it is an exceedingly well-built, quality ceiling fan that comes with a 25-year manufacturer’s warranty. So what are the parameters of a first-rate ceiling fan? To start, a large motor makes for longer life, greater efficiency, and better air circulation. The Tigershark Ceiling fan has a powerful (153x12 mm motor size), yet silent, high-efficiency motor that uses less than 1 amp of energy. Even at high speeds this equates to using less energy than 75-watt light bulb. Now add blades that are matched to exact weight and 15° pitch to greatly increase airflow. The 3 propeller-shaped blades on the Tigershark Ceiling Fan have about a 44" blade span. The pitch is important because with greater airflow movement the ceiling fan will make the air cooler during the summer and help reclaim lost heat from the ceiling during the winter. Factory installed gaskets to reduce noise and vibration. If that weren’t enough, the Tigershark Ceiling Fan has an integrated light kit in the nose. Maximum 60-watt bulb. The body of the fan measures about 17 inches from ceiling to nose cone. What to look for when buying an authentic replica airplane ceiling fan. We think that what sets Tailwinds apart is our extensive collection of quality airplane gifts that celebrate the joy of flight. Our airplane ceiling fans really represents this theme. Each of these magnificent beauties are painstakingly assembled. When you purchase aviation ceiling fans for display in your living room or den, you want a piece that enhances your decor. These distinctive warbird ceiling fans are art that will match your decorating taste and stand out as collector’s items. 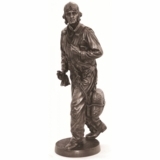 Often conversation pieces and collector's items but always first and foremost, a great addition to any interior design. Also, since we are all in a time where energy has become an issue for both the environment and the pocket book, the American invented ceiling fan offers a solution that is both green and economical. Ceiling fans deliver more warmth in the winter months and cool down environments during hot summer months. According to a Florida Power & Light study, ceiling fans can save 40% on cooling energy costs. And they are efficient using less energy of than a 75 watt light bulb. Nancy's tip:: "The more blades on the fan, the more efficiently air is circulated and the quieter the fan." On most fans, the summer setting is a counter-clockwise rotation, viewed from below. In the winter, fans run in reverse (clockwise), reclaiming lost heat from the ceiling. They provide an even, comfortable temperature by moving hot air back down to the living areas below. They can make 80 degrees seem like 72 and in the winter do the reverse. A nice addition to my cave. Looks nice, installs easy, attracts special notice from visitors. ProsGood quality, looks, and functionality. ConsCaution on the glass light shade - I was too heavy-handed when rotating the shade into position and it broke. Suggest lightly rotating shade into position and maybe adding some clear tape on the backside to discourage shade from vibrating loose. Seems like the shade would be better/safer if made with plastic. Great looking product. After installing this fan it didn't work. I was able to diagnose that a wiring "crimp", in the switch area had not been done good enough to hold 4 white wires. After re-doing the crimp, the fan works great. Maybe something to watch in your QC department. I love the way it looks and so does my husband. We installed it in our living room, so it can be a conversation piece. ConsThe light is pretty small and provides a nice glow, but it is a little too dim for my tastes. Luckily we have extra lighting already. As our previous overhead light was too bright! Now with this fan and the other light it is perfect. Arrived earlier than scheduled. Friendly customer service. Looks great in my military themed room. It was easy to install and runs smoothly. Great customer service...called and let me knew there was a problem in delivering product due to error in address. They made it work out with FedEx. Can't wait for it to be installed. The fan was very easy to assemble and put up. The cowling has great detail and the fan is very quite. In my kit a light was included. Overall VERY happy with my purchase. Tailwinds was very easy to order from and sent a good amount of follow up emails. Thanks again. I've wanted a nose prop ceiling fan since I was a kid. Recently, during some home renovations, I'd been looking at ceiling fans at the big chains, and after finding some suitable for every other room in the house, I just couldn't pull the trigger on one for my office. Then I saw this one on facebook, and I just had to have it. I got it quickly, within a couple of days, and it looked even better in person than it did in the pictures online. Installation was really easy, much easier than the other five I'd already put up....it was quite literally, a "breeze" to install. Best of all, EVERY single one of my friends think it's the coolest ceiling fan ever. When people come over, they ask to see the ceiling fan in my office first thing. Thanks, Tailwinds, for helping me check one off of my bucket list. Love it. It's detailed and looks great. Pros Everybody loves it. It was the icing on the cake in my aviation themed room. I'm a hero in my son's life since I bought him the Tigershark Ceiling Fan. He loves it! We bought this ceiling fan with light to update our sons room,it is awesome . Room looks awesome with this installed! Saw this fan on the ceiling at the Palm Springs Aviation Museum. My car-guy friend has a "57 Chevy" patterned to look like a P-40, so this fan was a "must have". The quality of this fan is outstanding and the appearance is incredible. This fan is first class in every respect: materials, balance, quietness, detail -- it is something that every P40 fan should have somewhere in their home. I am more than pleased that I bought this fan and I know it will provide hours of comfort and pleasure. It is everything the ad claims it to be and then some. Tailwinds was a superb company to deal with. ProsQuality materials, quiet, easy to install, attractive. ConsOnly positives from this reviewer. Installed in Aviation style home pub. The ceiling the fan is attached to is covered in white silk parachute which really highlights the ceiling fan markings. The fan naturally occupies the focal point and all and sundry who have entered the bar have been amazed at the fan. ConsDue to delivery service oriented to U.S. Had order delivered to LA, and self transport to Durban, South Africa to install it in my house in Kwa Zulu Natal. Really sets are plane themed room off... big hit! Plus it is high quality, very quite. ConsI wished the nose light was led instead of a 40w bulb, not much light.